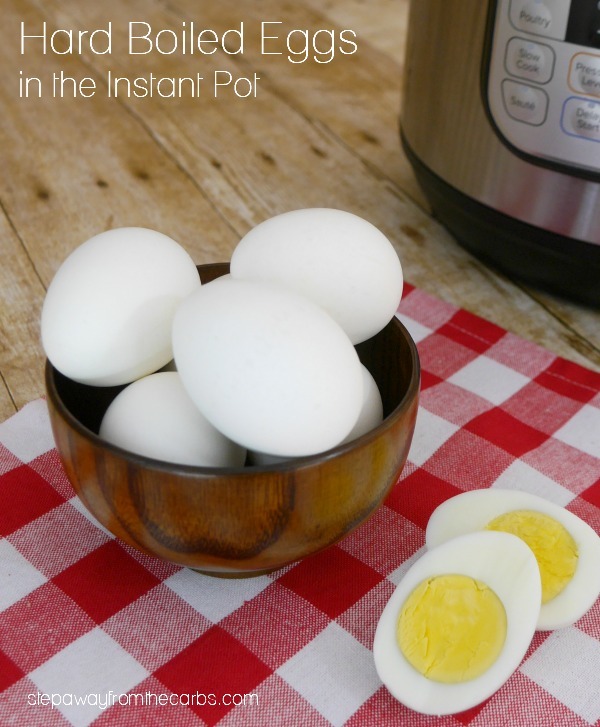 Have you tried making hard boiled eggs in the Instant Pot?!? 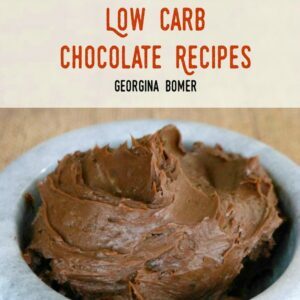 It’s seriously easy! I always keep a few hard boiled eggs in the fridge – and I’m perfectly OK to cook them by boiling – as long as I also have my handy in-water egg timer. 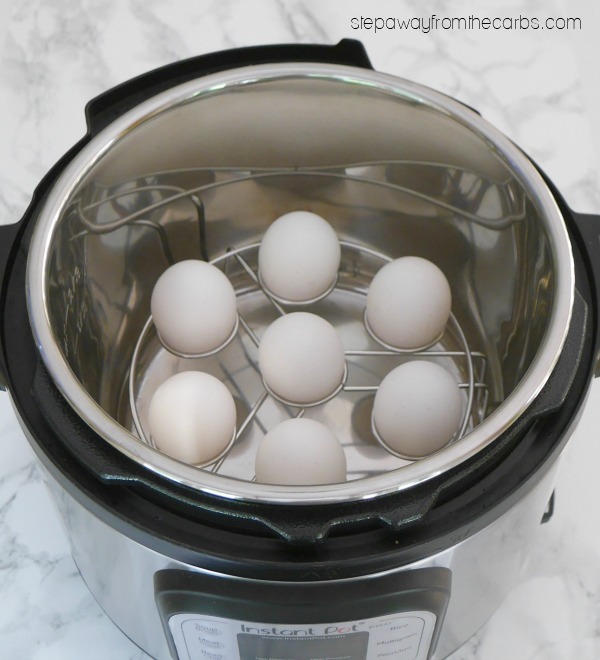 So it was only when Amazon popped up an Egg Cooker Steamer Rack that it even occurred to me to cook eggs in the Instant Pot! It wasn’t very expensive, so I added it to my next order and couldn’t wait to try it. 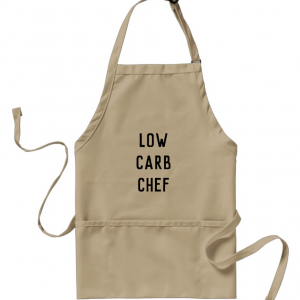 The instructions are simple: Place 7 raw eggs in the rack, then place it in the Instant Pot with a cup of water. Cook on high pressure for 5 minutes. Naturally release the steam, then place the eggs in an ice bath for 5 minutes. 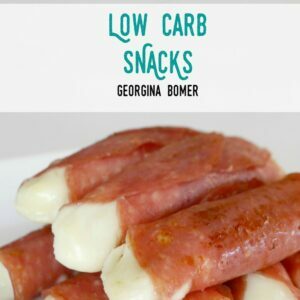 Easy peel, and perfectly cooked! I loved how hands-off it was compared to boiling eggs and watching the timer! Oh and for reference, I used large eggs, which were about 2 oz (58g) each. 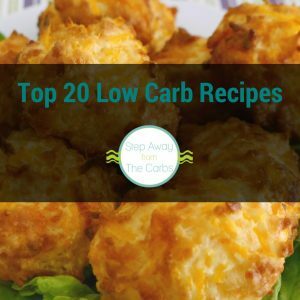 Wouldn’t this a perfect method for preparing low carb deviled eggs?!? 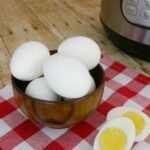 Cooking hard boiled eggs in the Instant Pot is SO easy! 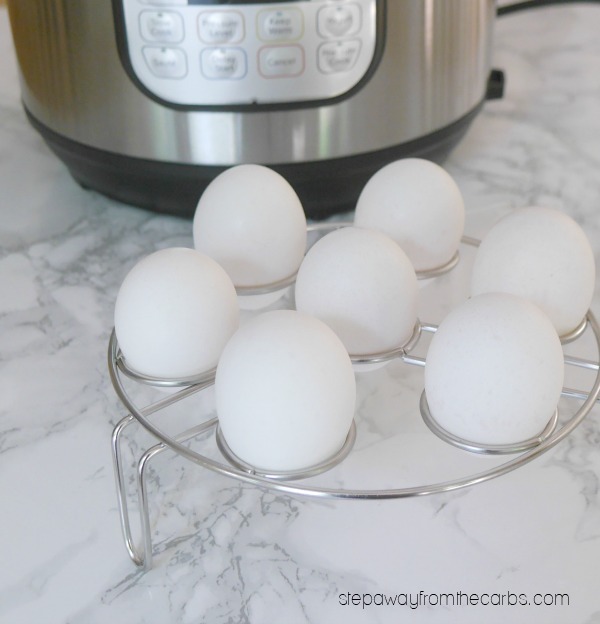 Place the eggs in the rack, then place it in the Instant Pot with the water. Cook on high pressure for 5 minutes. Naturally release the steam. Place the eggs in an ice bath for 5 minutes.